This examination is being given to fill one vacancy in the Sheriff's Office and to establish an eligible list to fill any future vacancies in the department. This recruitment is being conducted specifically for the Sheriff's Office. Candidates must pass a background investigation and pre-employment drug screen to be considered for this position. Candidates may also be required to work various shifts on occasion to ensure appropriate management oversight. Directs and monitors inmate work crews assigned to a functional service area in Sheriff's Central Services; requests, directs, assigns and monitors inmate work crews; may direct and monitor inmate work crews on assignments both on and off the compound; ensures that assigned work is completed in a timely manner and according to established standards. May assign and direct the work of subordinate staff; may assist work site crew leaders in determining needs, including type of work to be performed, number of workers needed and tools/materials needed; may help crew leaders establish work priorities. May help train staff regarding the technical aspects of work site assignments including equipment and machinery operation/repair, chemical use, tool maintenance, horticultural practices and compliance with environmental and other safety standards; may provide technical training to inmates as needed for specific work assignments. Maintains various jail, alternative work, work furlough and other records and reports; maintains daily attendance, supply and equipment usage records as assigned, including computer logs and databases; documents disciplinary actions and/or inmate performance issues as assigned. May help inspect assigned areas to ensure compliance with established standards; may work with inmate housing or other Department staff to improve and motivate inmate work performance. May meet with various County and/or other staff regarding work crew assignments and scheduling; may provide information regarding program procedures; may use County vehicles, heavy equipment, and/or power tools to perform assignments.  Experience: One year as a Sheriff’s Central Services Assistant in San Joaquin County service. Experience: One year of directing/monitoring inmates or laborers in a correctional/custody facility at a level equivalent to Sheriff’s Inmate Labor Assistant in San Joaquin County service. Substitution: Completion of an approved peace officer or limited peace officer training course. Motivational techniques in a work setting; basic legal requirements for inmate programs; cultural, normal and abnormal human behavior; techniques of conflict resolution; general procedures and practices of an inmate custodial facility; methods of gathering and organizing data; general office practices, including basic computer use. Assign, direct and monitor inmate workers; plan work schedules; understand, interpret and apply written regulations and other job related material; establish and maintain effective working relationships with a wide variety of people; communicate effectively, both orally and in writing; make decisions and implement appropriate action. Mobility-Frequent standing for long periods, walking, pushing, pulling, driving, operation of heavy equipment, climbing ladders and/or stairs, crawling; occasional bending, squatting, operation of keyboards; Lifting-Frequently 5 pounds or less; occasionally 5-70+ pounds, restraining/lifting/turning heavy objects; Vision-Good overall vision required including frequent use of color perception, hand/eye coordination, depth perception, peripheral vision; occasional reading/close up work; Dexterity-Occasional holding, reaching, grasping, repetitive motion, writing; Hearing/Talking-Constant hearing of normal speech, hearing on the telephone/radio, hearing faint sounds, talking in person; occasional talking on the telephone; Emotional/Psychological-Frequent working alone; occasional emergency situations, exposure to trauma/grief/death, public contact, decision making, heights, hazardous materials, concentration, working weekends/nights, overtime/travel; Special Conditions-Frequent exposure to varied indoor/outdoor weather, temperatures and conditions including dust, dirt, smoke, fumes, poor ventilation, and noise.